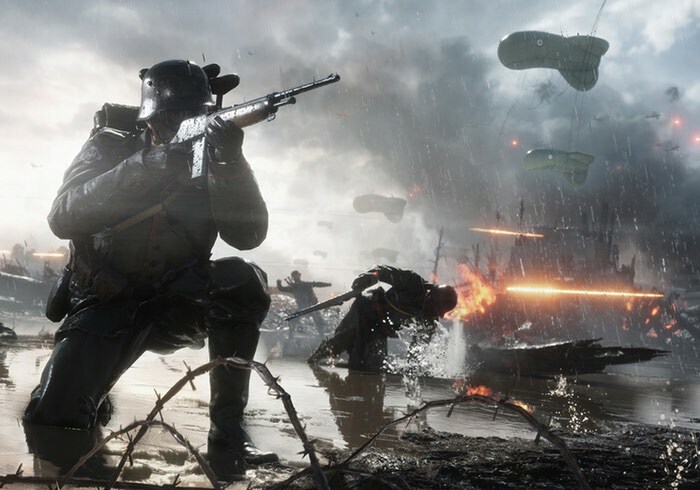 Xbox gamers that have purchased the Ultimate Edition or Early Enlister Deluxe Editions of the new Battlefield 1 game can now enjoy a little early action ahead of other that haven’t. Battlefield 1 has been developed by DICE and is set to be officially launched on PC, PlayStation 4 and Xbox One worldwide on October 21, 2016. Check out a couple of trailers below to learn more about the new first-person shooter (FPS) video game which has been built using the Frostbite games engine. Fight your way through epic battles ranging from tight urban combat in a besieged French city to the heavily defended mountain forts in the Italian Alps or frantic combats in the deserts of Arabia. Discover a world at war through an adventure-filled campaign, or join in epic multiplayer battles with up to 64 players, and adapt your tactics to the earth-shattering destruction and dynamic weather. Fight as infantry, lead horse charges or take control of amazing vehicles on land, air and sea, from tanks and biplanes to the gigantic Behemoths – some of the largest vehicles in Battlefield history. According to the game’s designer, Daniel Berlin, the campaign mode has larger and more open environments than those in previous installments in the franchise, with more options and choices in terms of paths to completing levels and how to approach combat. Players can control several characters in the campaign. In the prologue only, when the player dies they will take control of another soldier and role instead of reloading from a checkpoint. These roles can range from tank gunner to flametrooper to rifleman. When the player dies, a name appears on the screen of a real soldier, along with their birth year. Unlike its predecessors, the game features a collection of war stories, similar to an anthology.